We believe that the safest way to prevent sensitive information from falling into the wrong hands is to destroy it. Our document shredding services ensure the highest levels of security, convenience, and respect for the environment. Whatever your need—one-time, ongoing, drop-off, or on-site—we offer a range of options to fit your needs and your schedule. Take advantage of one-time or pre-scheduled services. Learn what materials we can shred (and recycle) for you. The safest way to prevent sensitive information from falling into the wrong hands is to destroy it. Why Should a Home or Business Shred? By shredding your tax documents, bank statements and other personal information, you're doing more to protect your privacy and your future. Your shredded documents will be recycled and made into new material. That reduces the amount of waste headed to local landfills. You'll also breathe easy knowing that our newest shred truck is fueled by Compressed Natural Gas (CNG), which burns cleaner and quieter than diesel. Shredding can help businesses meet information privacy standards, enforced by the Gramm-Leach-Bliley Act (GLB), the Fair and Accurate Credit Transactions Act (FACTA) and the Health Insurance Portability and Accountability Act (HIPAA). Relying on in-house staff to manage document destruction can be costly. You have to pay employees to shred rather than to generate revenue. And you have to pay to purchase and maintain the shredding equipment and disposal bags. Outsourcing your document destruction needs is good for your budget and your business. 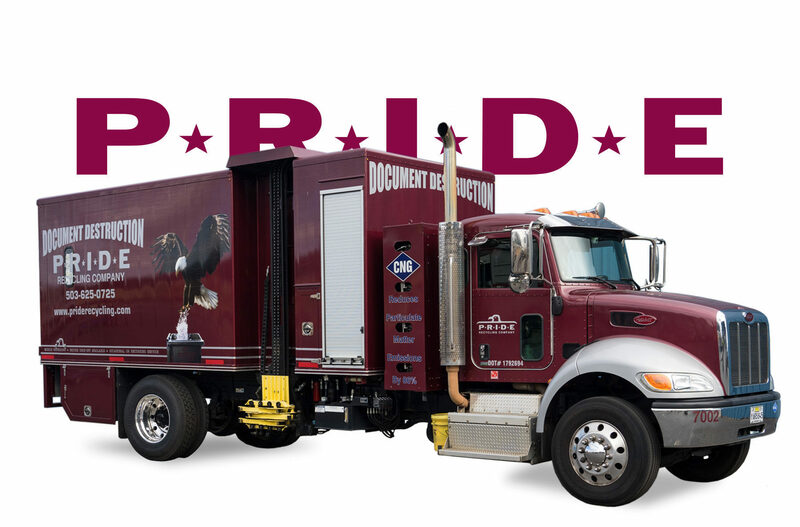 By letting us handle your shredding according to your schedule, you won't have to worry about paper dust, noise, clean-up or any other you-shred hassles. By failing to destroy confidential documents through secure channels, you expose your business to infinite risk. Document shredding protects your trade secrets. Flexible pickups and no contracts required.